My friend Nikko once told me that the food in Shanghai is delicious. Boy, was he right. The gastronomical delights were endless and there were so many cuisines that even those with discerning tastes would give up. 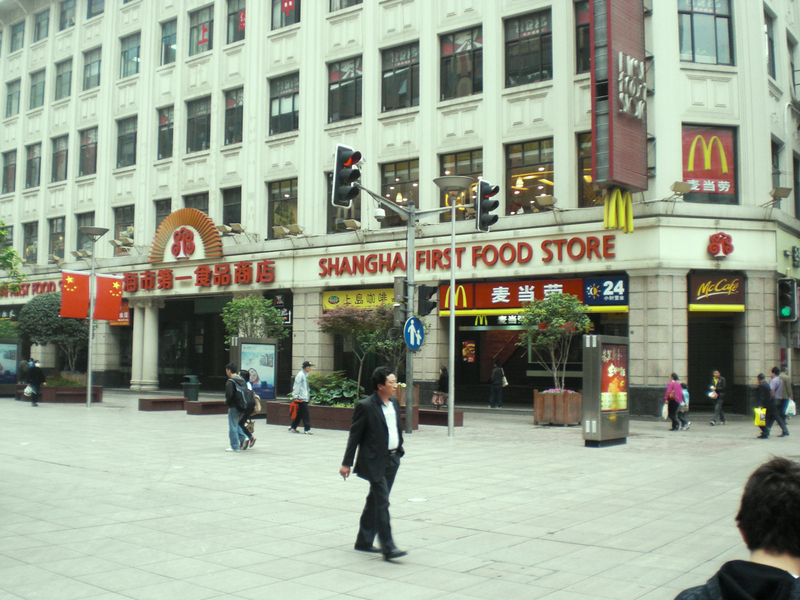 Generally, food in Shanghai is a mix of Chinese cuisines. Technically, there are 16 major styles but Shanghai is distinct because of its sweetness. 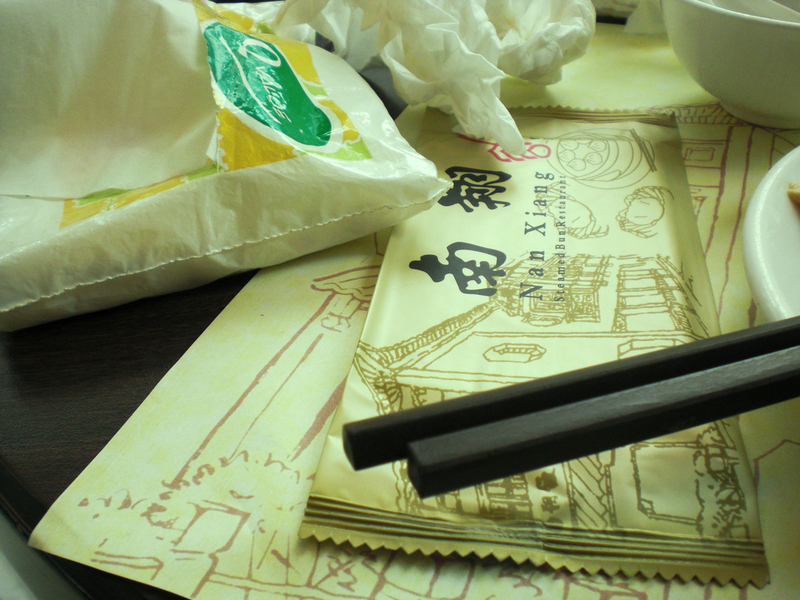 Called benbang cai (local-type cuisine), it is sweeter, less spicy and oilier than its Chinese counterparts. In fact, when other Chinese dishes come to Shanghai, chefs need to adjust their flavor in order to attract customers. The Shanghainese are less adventurous as their Cantonese cousins, who are known to eat “anything in the sky with wings but airplanes, anything in the sea except submarines, and anything with four legs but the table.” That means you wouldn’t find anything as exotic as the balut or fried grasshoppers. I was a little bit disappointed with the lack of exotic eats because I believed in the “when in Rome” saying but I was soon appeased by the edible delights of Shanghai. 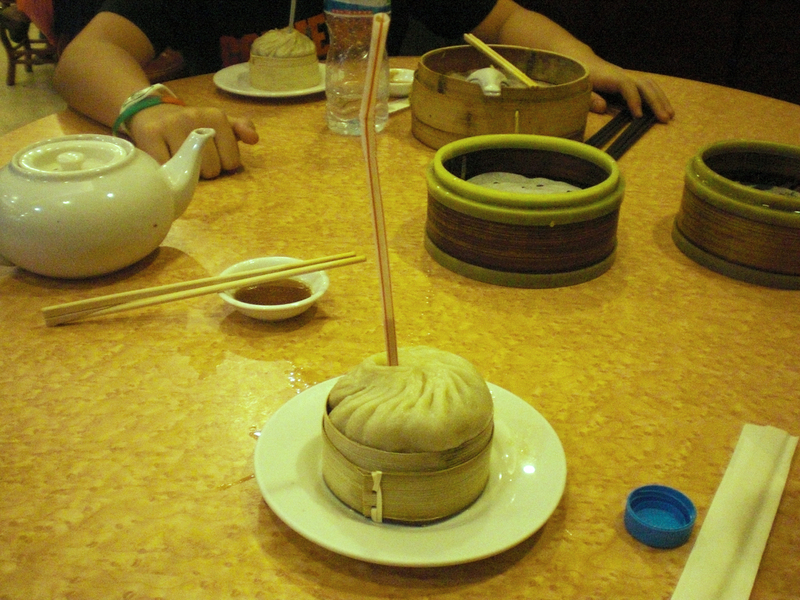 Shanghai is home to the xiaolongbao, a dumpling with soup inside served in small bamboo baskets. 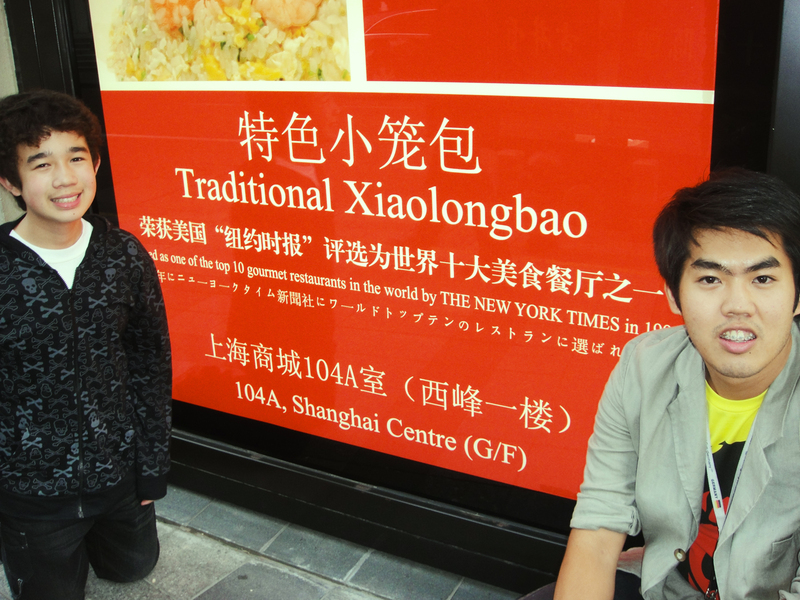 I don’t have a picture of the actual dimsum because I instantly wolfed it down (It was that delicious) but luckily my mom wanted to take a picture of me and my brother with a poster advertising it. Don’t ask me why. The xialongbao kind of looks like the Japanese gyoza. A larger version of the xiaolongbao. While the xiaolongbao looks more like siomai, this one looks more like siopao. We had this at a joint in Yuyuan Garden. It was incredibly delicious. I didn’t catch the name of the restaurant but they have an extensive collection of dumplings of every size and color. And they all looked scrumptious. Generally, the rule of thumb is, the dirtier the joint looks, the better the food tastes. It’s the ones hidden in alleyways run by noisy women who shout orders and with cooks dressed in clothes stained with sauces and with greasy hair. These can be normally found in the alleyways in Nanjing Lu. Food is cheap and the number one rule is to always bring your own chopsticks. I’ve been told that it’s easy to get hepatitis here so we took extra precautions. But when you have a bite of the hongshau rou or braised beef, you know you’re in heaven. Be prepared to do a lot of pointing because a lot of the menus don’t have English translations. Of course, we also tried the fancy restaurant scene. This is at Nan Xiang, one of the popular restaurants in Shanghai. It was more expensive than the alley cafeterias and there was just something about it that didn’t taste as good as the joints on the streets. 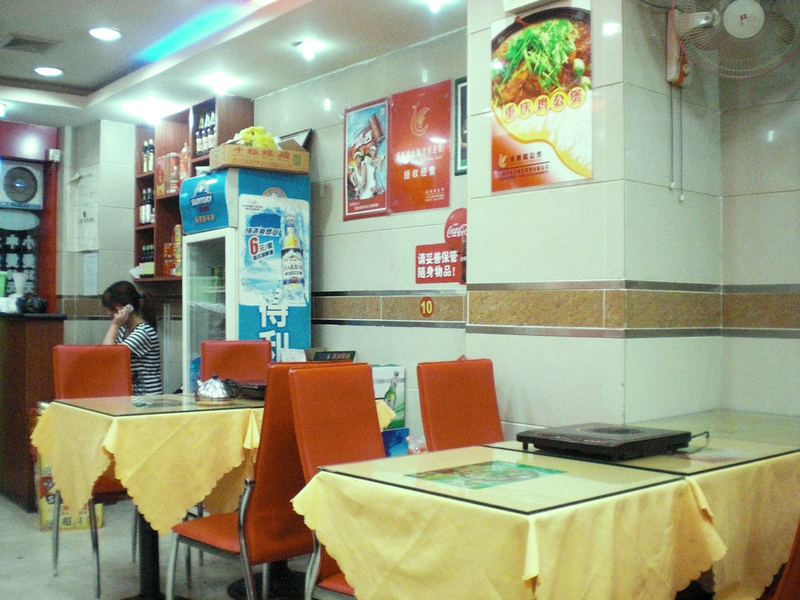 This is where I tried the hongshau rou (pork braised in brown sauce), a local delicacy favored by Chairman Mao himself. It must be popular because when I asked for this in a cafeteria, the waitress nodded and laughed. 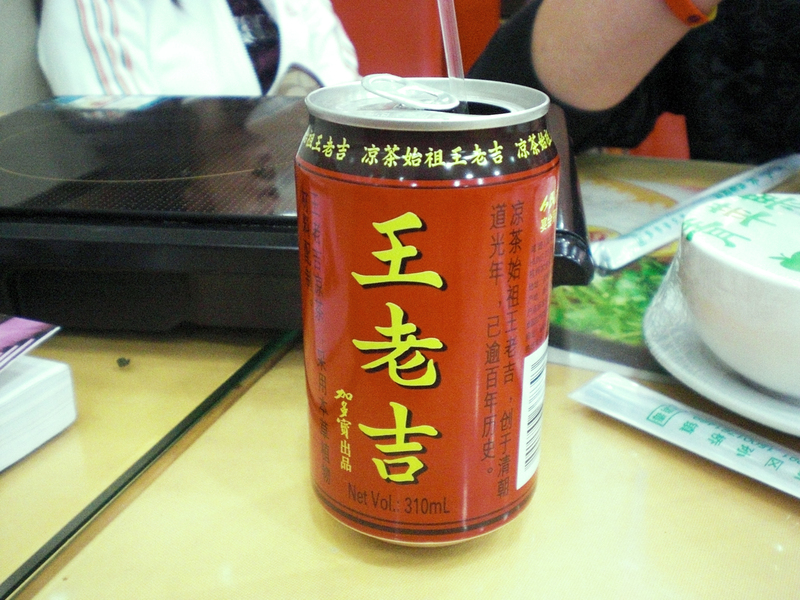 This particular tea seems to be like the Chinese version of Coke because I see this and posters of it everywhere. If you’re a tea lover like myself, I suggest you buy a can because it is filled with awesomeness. I’m not sure what kind of tea it is, though. Oh, I do. 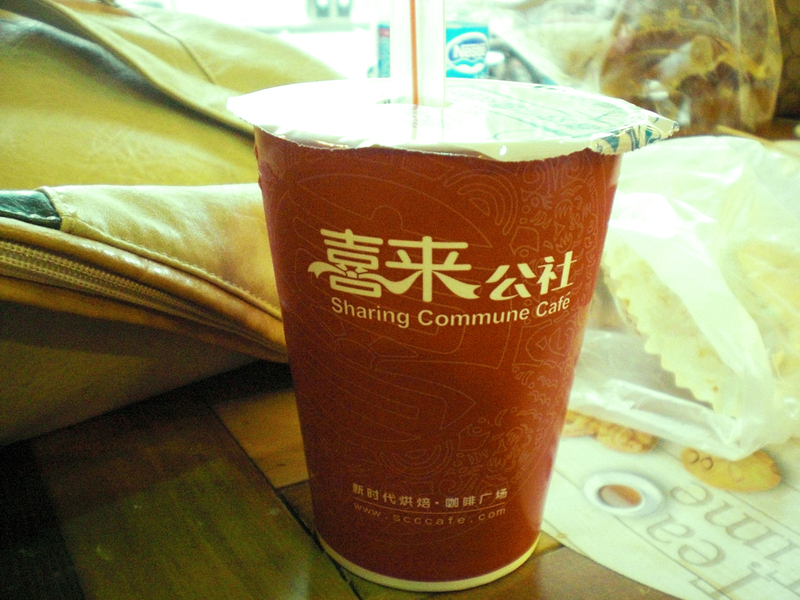 It’s awesome tea. I switched assam to awesome, get it? No? Right. 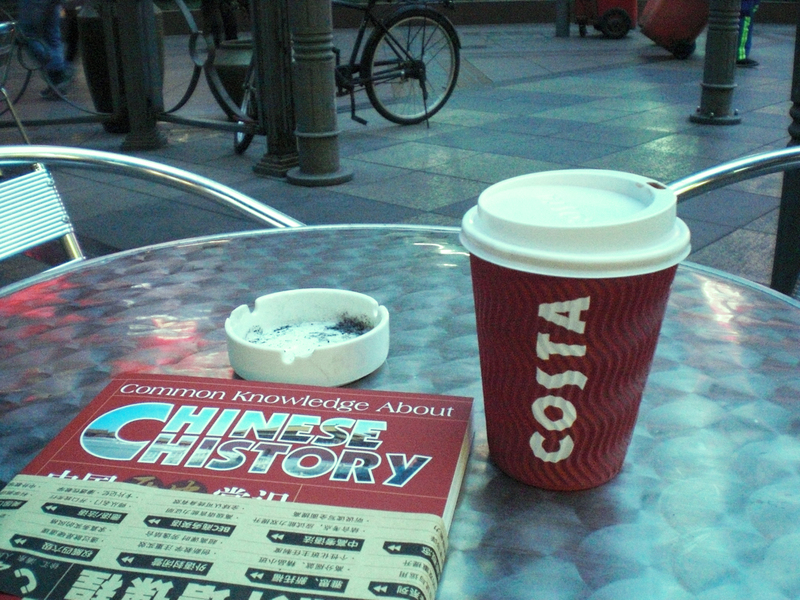 As for their coffee, Costa seems to reign supreme with multiple branches. I seem to see it everywhere until I realized that the branch I went to was practically empty, considering it was Nanjing Lu. There were more people in Starbucks and Coffee Bean. The hot chocolate was average. A coffee shop along Nanjing Lu. How communist can the name get? I love it. 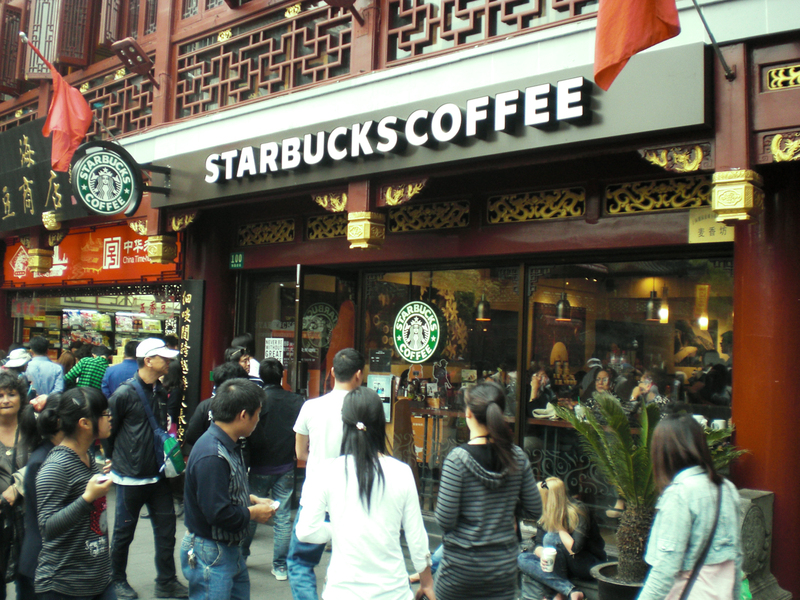 Yes, there is McDonald’s and Starbucks in China. I didn’t even bother trying the Starbucks (I very rarely go to the branches here, favoring the quiet atmosphere of Coffee Bean) but the McDonald’s taste exactly the same. They did have burgers there that we don’t have here such as the spicy chicken burger. I had the classic double cheeseburger and fries. For all your one-stop needs, there is always C-Mart. 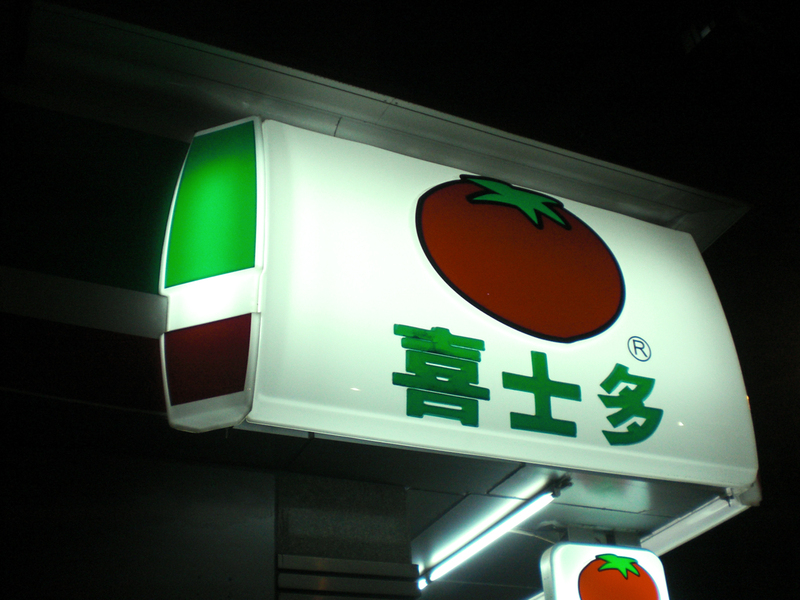 It’s their local version of 7-11 complete with the colors, but there are also branches of 7-11 around. You can buy candy, drinks, snacks, noodles, even copies of Vogue and century eggs. Or what looks like century eggs. 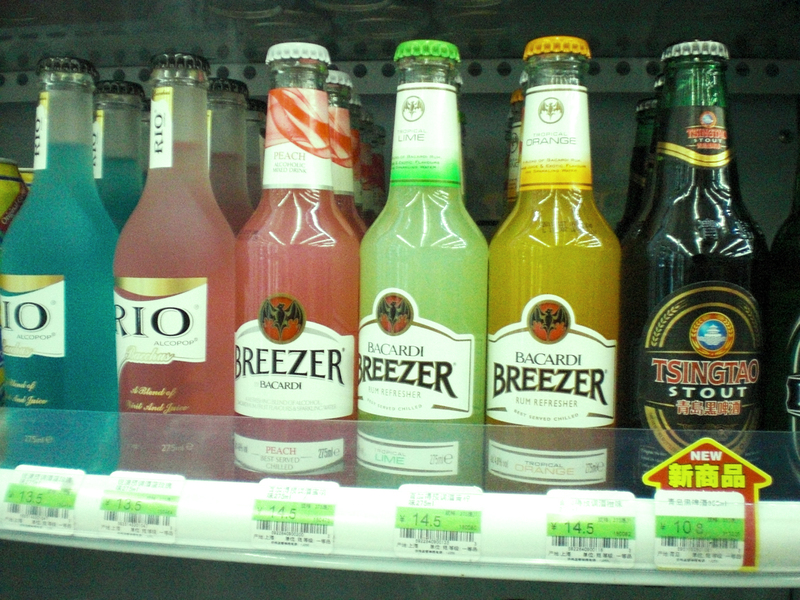 They also have single-serve Bacardi Breezers! I’m not sure if they have it here in the Philippines, though. Do they? I don’t usually frequent convenience stores.